Team Birchall travelled to Andorra last Sunday (26 November) to attend the 2017 FIM Awards ceremony. 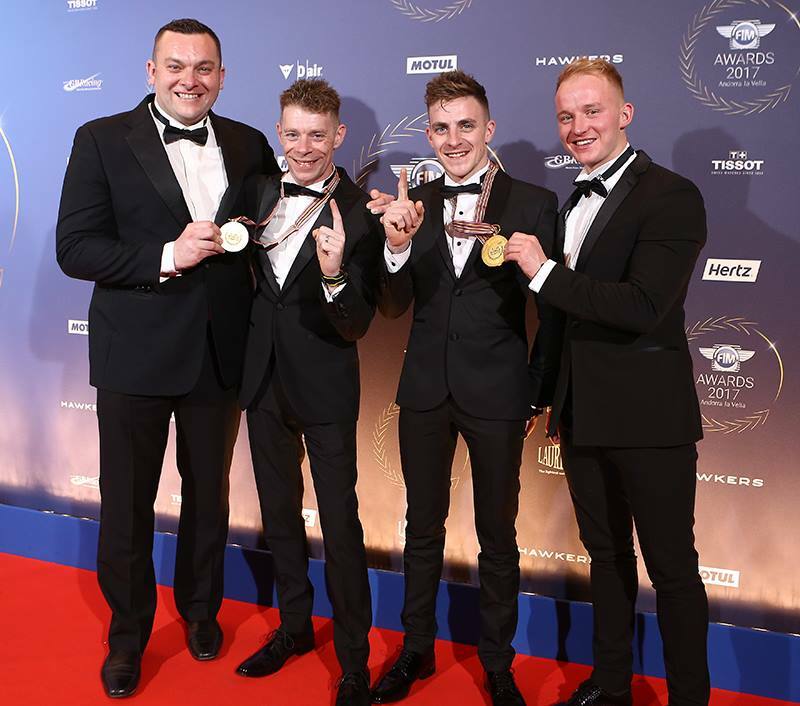 The Mitchells of Mansfield supported riders joined the other FIM World Champions at the event held at the Andorra Park Hotel in the Pyrenean Principality. Earlier in the day, the team had attended a fan signing session with the other world champions at the Centre de Congressos in Andorra before heading to the red-carpet and the awards ceremony where they picked up their medals for the 2017 FIM World Sidecar Championships. A great end to an amazing year. Tom Birchall: “What an incredible event held in such a beautiful country. I want to say a massive thank you to the FIM for including us in the celebrations. It was awesome to be there with other riders such as Marc Marquez and Jonny Rea – as bike fans ourselves it was an honour and a privilege to be included in such company.